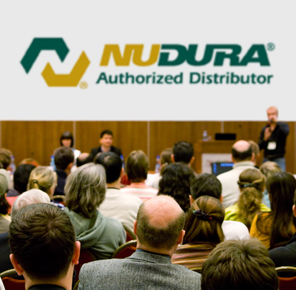 We will provide NUDURA product training to any professional who is considering building with NUDURA Insulated Concrete Forms or would like a more hands on experience. NUDURA’s One Day Basic Installation Course/Commercial Installation Course covers the use of NUDURA's Integrated Building Technology line and the basic installation procedures used in the construction field for concrete homes and commercial structures. For a list of current courses, please contact us for future dates. Architects who attend the One Day Basic Installation Course will also qualify for 5 Continuing Education Credits.